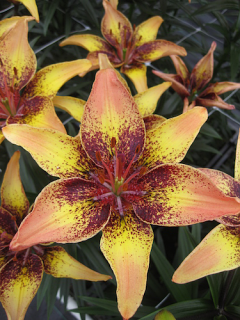 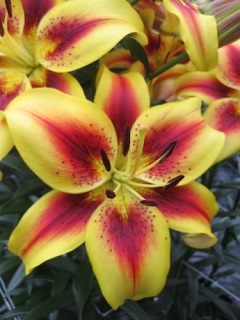 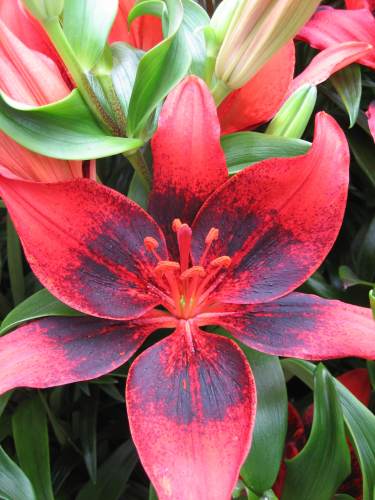 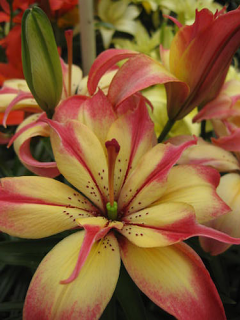 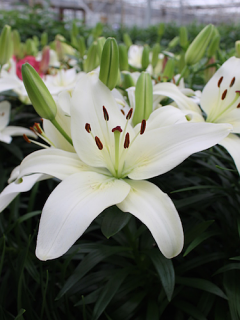 Asiatic Lilies are mostly unscented and brightly coloured varieties. 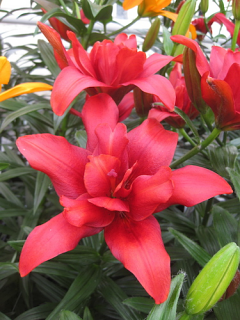 These are plants with medium sized, upward or outward facing flowers. 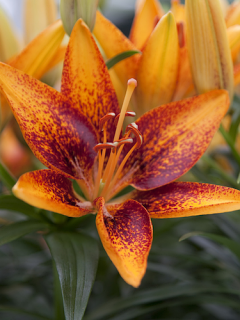 They grow between 1 to 5 feet and are the hardiest of the lilies. 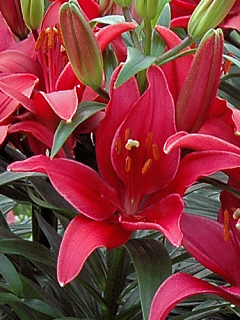 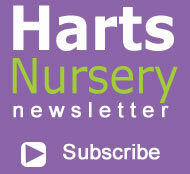 They are ideal for pots or borders and will tolerate most soils. 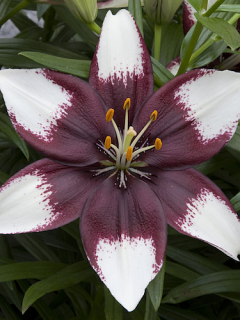 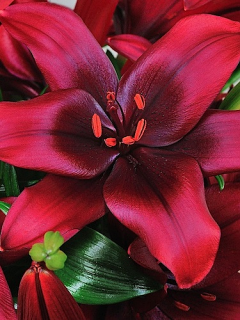 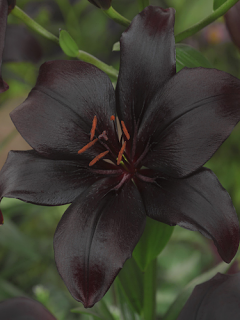 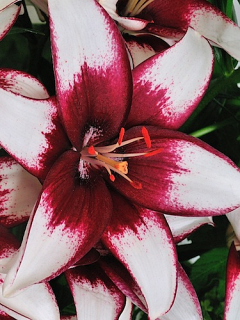 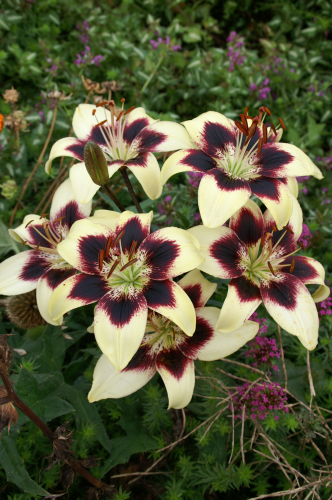 Dixie Jazz formerly known as Cafe Noir is a promising new Asiatic lily with deep burgundy and white infused petals that will grow to about 100cm tall. 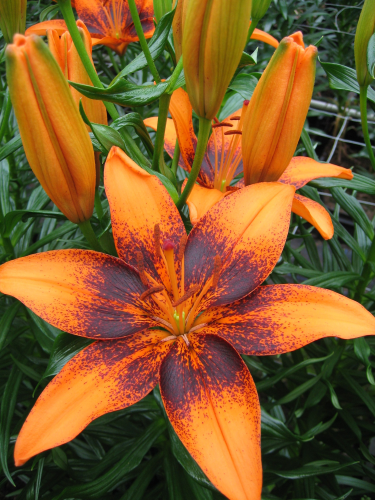 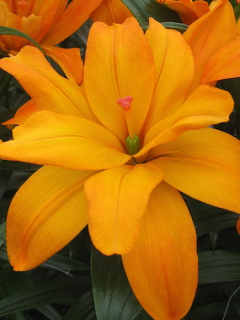 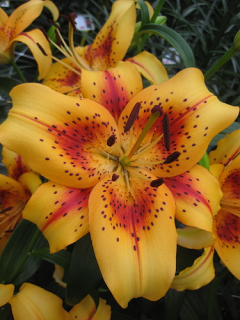 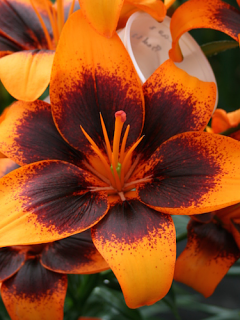 Eremo is an intense orange Asiatic Lily that will flower for a long length of time in the garden. 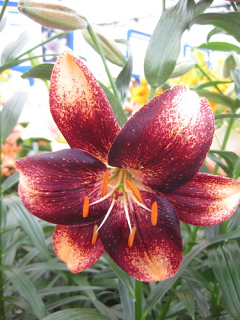 This lily will flower in July with a slight scent. 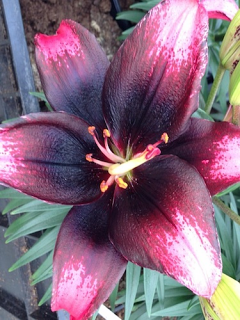 A beautiful Asiatic lily that's cream with a dark purple centre. 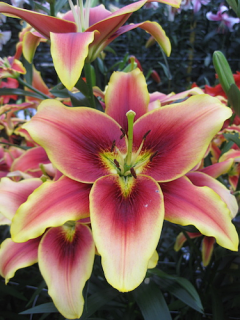 Patricia's Pride produces flowers about 12cm in diameter and will grow to 100cm in height. 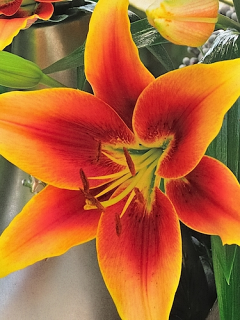 A stunning short variety called Tiny Epic. 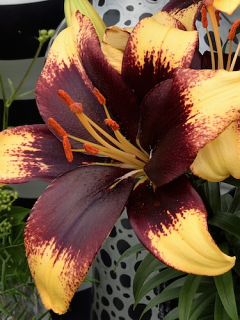 This burst of orange through the burgundy gives it a striking appearance. 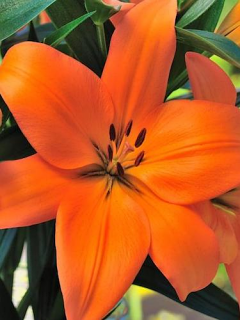 Great for pots! 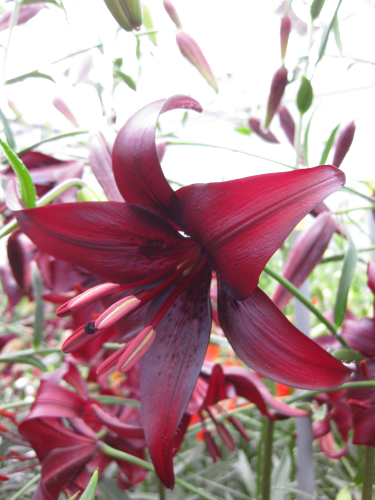 Tiny 'Ghost' is a bright red, short Asiatic pot lily. 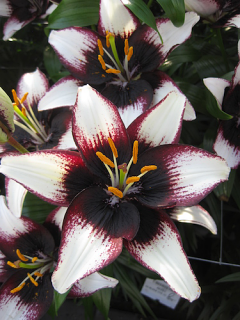 This short variety of lily bulb will grow to 35cm tall. 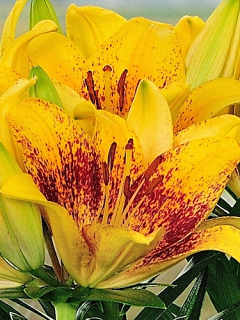 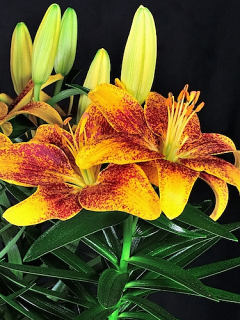 Tiny Nugget is yellow with burgundy speckles Asiatic Lily that will only grow to 35cm tall. 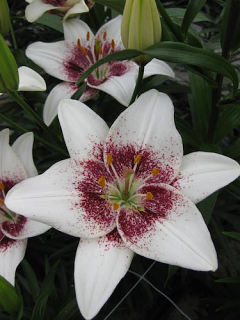 Tiny 'Padhye' is a white and burgundy, short Asiatic pot lily. 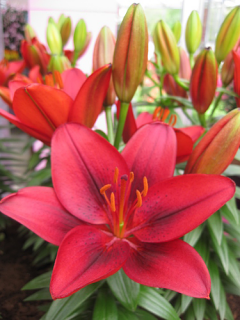 This short variety of lily bulb will grow to 35cm tall. 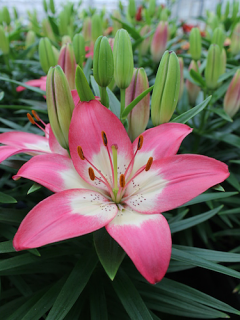 Tiny Poems is a beautiful two-toned (raspberry pink with burgundy) pot lily that will produce a stunning array of 3-5 blooms per stem. 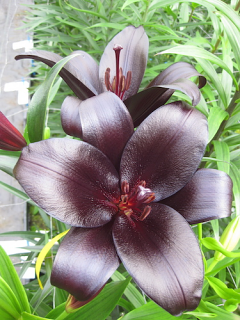 Will grow to 35cm tall. 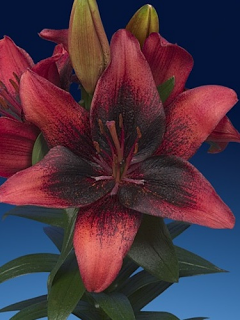 Tiny Shadow is a two-toned pot lily that produces flowers that are half red and half almost black. 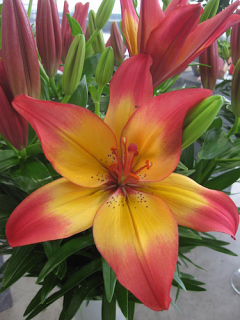 A great addition to our Pot Lily collection. 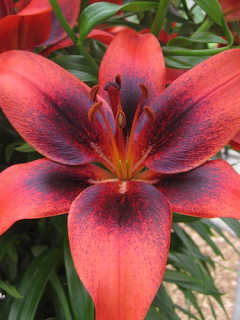 Tiny Rocket is a bright red with dark speckles Asiatic pot lily. 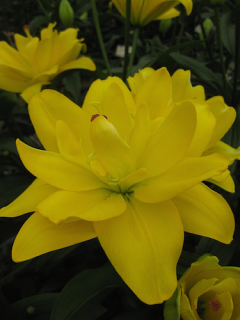 The short variety of lily bulb will grow to 35cm tall.